Disclosure: This is a sponsored post and contains affiliate links. All opinions are authentically our own. Since our gym The X-Project has moved into their new space (and it is amazing I may add), the two groups of members – original X-Project members and members of the gym that used to be in this space – have combined. So, not only is everybody getting to meet new gym-goers, but we’re also getting to know new trainers as well. In one of my previous posts, I talked about how I REALLY was hesitant to make this change because I loved our gym routine with our male trainers – Michael and Kyle. But, having female trainers added to the mix has been such a pleasant change! The male trainers have always facilitated a tough, no-excuses atmosphere (and, not gonna lie, eye candy is an added bonus). But, now, with female trainers involved in our classes, we get the best of both worlds! Females just tend to be more sensitive in general, so it’s SO nice to be able to go to a female trainer for advice and guidance, and a little extra TLC. Plus, girl power is just so much fun to experience! Not only do our trainers at The X-Project guide us through our work-out and cheer us on along the way, but they are also there as resources. They’re always so willing to share their knowledge and advice on anything and everything that’s health and fitness-related. So, Pam and I decided to bring our readers into the gym, virtually, by posting interviews with our trainers, in order to share the wealth of information that we are privy to at The X-Project! 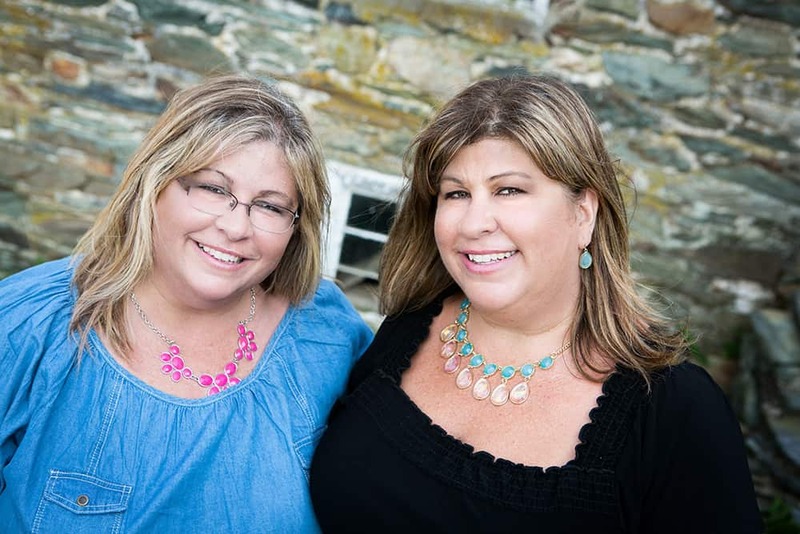 Pam and I chose Chrissy Makosy as our first victim interviewee! Chrissy welcomed us into the new gym “digs” with open arms and always has a beautiful smile on her face. She has offered up lots of advice to us on everything from what protein powder tastes the best to how to modify the way I’m walking for increased efficiency! 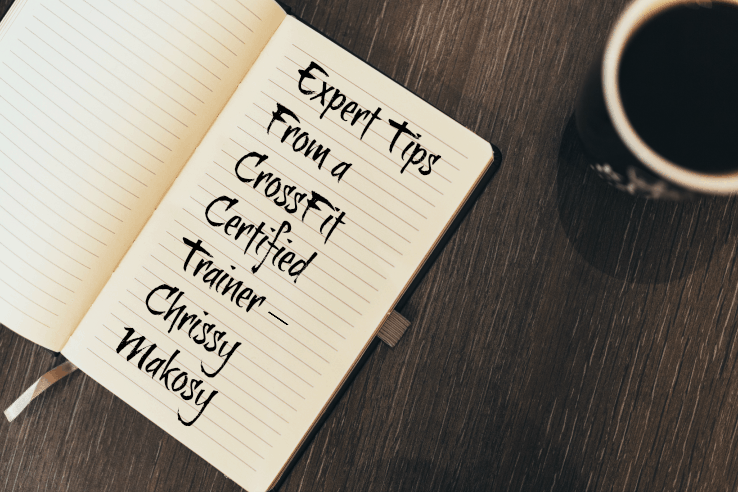 Expert Tips From a CrossFit Certified Trainer – Chrissy Makosy! 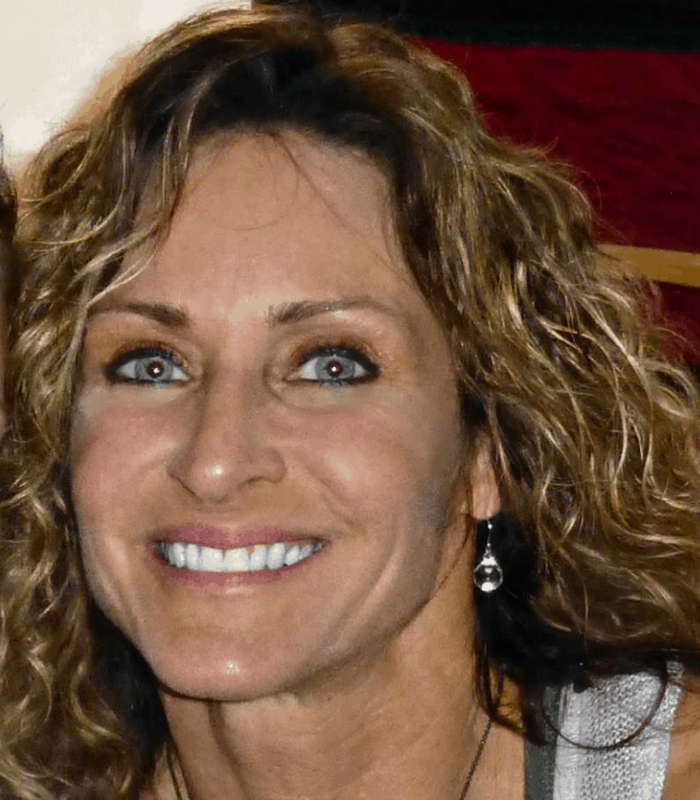 Chrissy will be 47 years old in August, and lives in Ijamsville with her hubby Doug, and 3 sons: Tyler 18, Jake 17, Kevin 14 and 2 Black Labs: Jett and Molly. Oct., 2010: NPC Natural Pennsylvania Open Figure Class A – 1st Place, Masters Figure Class A – 1st Place. What are your go-to motivators or things that inspire you to be as fit and healthy as you are? I believe it is a great advantage to be self motivated – to find your own reasons to just get up everyday and and hit the gym. I try to make it a part of my daily routine and it is extremely self satisfying when I am finished. However, that doesn’t always happen so if I were to look for outside motivators, it usually comes down to the members that I have taught or coached (you guys). It is amazing how I can feed off of others’ hard work and get very inspired to “keep up”. I also know my kids and others are always watching so there is something about trying to set a good example for others that is very motivating to me. And, I like to eat A LOT! What do you feel is better about CrossFit than the other fitness methods you’ve used or promoted in the past? Once I got past being terrified to try CrossFit, it didn’t take me long to fall in love. It was so different than anything I have ever been a part of. I had been teaching a variety of Les Mills Group Fitness Classes for nearly 15 years and was ready for a change. The sense of support and community was amazing and the workouts were just plain fun. Intense and gut wrenching, but fun!!! List the things you do outside of the gym to maintain your fitness and health. I love sports and enjoy being outside, so I can find many different methods of exercise other than the gym. I love to bike and rollerblade. I have done a few figure competitions and ran some 1/2 marathons for something different too. I also referee high school field hockey – this fall marking my 29th year. Anytime I can do something with my boys is fun too. They are pretty competitive so I gotta stay on my toes!! What supplements (i.e. protein sources, vitamins, etc.) do you recommend for someone who is interested in optimal daily functioning? I have a few go-to supplements that I use on a regular basis. – I like a good plant based multi-vitamin / mineral supplement to help fill in the gaps with what I’m not getting from food, fish oil (anti-inflamatory) high in EPA & DHA -omega 3 fatty acids, quality protein powder for pre / post workout (my favorites are UMP Vanilla, Metabolic Nutrition Peanut Butter Cookie and Dymatize Iso100 – Cake Batter). Also, an Amino Acid supplement just as a little extra fuel and recovery for the muscles (I like Metabolic Nutrition Tri-pep). All of the flavors are yummy, and Scivation Xtend is good in grape. There are others that I may take depending on circumstances and how I feel. Out of all of the exercises/movements/cardio activities that are done in a CrossFit gym – what, in your opinion, is THE best one to do if you were only to do one? Hmmm – If I had to pick one movement that screams CrossFit it would be Thrusters and Wall Balls (I know, that’s 2). Full body movement, big range of motion, taxing on all levels: cardiovascular, metabolic, mental, physical, emotional….yep, they can break you or make you stronger, or both!!! What is your philosophy on ideal eating for health? This is always the biggest topic up for debate as there are so many different philosophies on ideal eating. I think you have to first have a specific goal to then define your ideal. For example, when I was preparing to compete in a bodybuilding competition, I was eating to gain / maintain muscle while getting very lean. Completely different if my goal is to try to be healthier for everyday life, run a marathon, or CrossFit. Basically, if you focus on eating REAL food (grows from the earth, runs, swims, flies…. doesn’t come from a package), and understand what your body needs for fuel and recovery you are much better off, you will see results, and you will just plain feel better. If you want to follow some legitimate folks in the area of nutrition, these are some of my faves: John Kiefer, Dr. Layne Norton, Krissy Mae Cagney, Andrea Jengle, Pauline Nordin, Eat to Perform. Others I just like because they are real – they work hard, they are just like you and me and have the same struggles but have learned to celebrate their unique strengths: Brooke Erickson, Lisbeth Darth and Dana Linn Bailey. What is your favorite song on your work-out playlist? I love all types of music and can usually get pumped up listening to anything with a good beat. I get a bit more amped up when I hear Linkin Park or AC/DC and recently found out that I like 50 cent, Cage the Elephant, and Breaking Benjamin too. List your pieces of advice for anybody who may be fearful/apprehensive to step into a gym – either for the first time or after a long time of not going to a gym. I’ve probably said this a thousand times and will say it a thousand more, you’ve just got to make the first move – just walk through the door of the gym – that is the hardest part!! I can promise once you are there, you are rarely sorry that you went!!! Especially with CrossFit where the atmosphere, although a bit scary to the first timer, is so unbelievably supportive and friendly once inside. It also focuses more on and celebrates performance and what you can do, rather than how you look or what you weigh. It’s pretty awesome watching someone do something they never thought they could do and being proud of themselves!!! Thank you to Chrissy Makosy for her words of wisdom! We hope you enjoyed the interview! If you’re interested in meeting Chrissy and all of us at The X-Project, please let us know! We promise – you will not be sorry! Stay tuned for our next trainer interview in the near future! Fantastic interview Terri. And talk about the eye candy is right! What an inspiration. I’m very serious about getting over there to you guy and just at least check in out the place Now i just need to let this leg really get its strength back. Gosh she really looks like one of my gals at Sage Physical Therapy. Enoyed the read. Thank you so much Maureen!! Tee hee – yes, eye candy is definitely a fringe benefit! We would love to see you check out the gym, and you just do it when you’re ready girlie! I really enjoyed your write-up! She is definitely inspirational! What a “bio! !” I still hope to join you and Pam there one of these days and look forward to meeting everyone! That would be awesome Cheryl. There are so many inspiring people there. We just love it.